Rossa has been guest baker at Lynda Booth's Dublin Cookery School since the very beginning and there is no one we have met who is more passionate or knowledgeable about bread. After working for over six years in small artisan bakeries in the south of France, Rossa opened his own bakery Le Levain in Dublin, where his breadmaking is based on a natural fermentation method that was standard in 18th century France but very few bakers use today. Every visit from Rossa is hotly anticipated and very special for both our team and students. 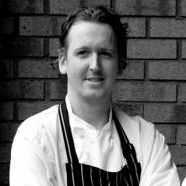 Paul Flynn is one of Ireland’s best-loved chefs. His sophisticated but earthy cooking has discerning foodies beating a path to The Tannery.The success of his TV series, along with his two great books, has made Paul one of the most recognizable faces in the industry. 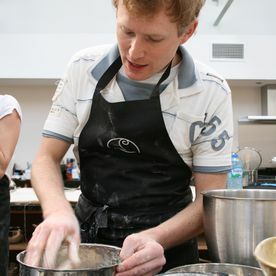 What is less known is that he is also one of the country’s finest cookery teachers. 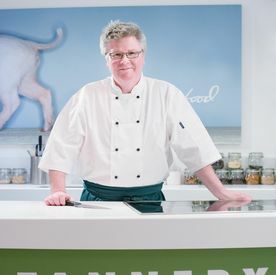 One of the major highlights of the 12 Week Certificate Course is an overnight stay in Dungarvan where the students spend two days with him at his cookery school. Sunil has garnered an impressive array of fans and awards for his bold, contemporary cooking style. 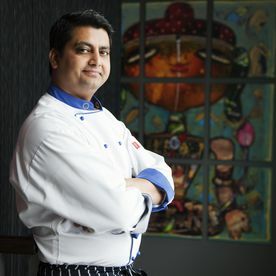 The foremost Indian chef in Ireland, Sunil won Food & Wine’s Chef of the Year award in 2009. Born in Gwalior in central India, Sunil gained experience with the world famous Oberoi group before coming to Ireland to join the Jaipur group in 2001, working as the head chef of Ananda in Dundrum. In February 2016, Sunil opened his own restaurant, Pickle, in Dublin City Centre, one of the city’s ‘musts’ for anyone looking for a wonderful meal. Stephen started his culinary career in Paris at the renowned Michelin two-starred restaurant and brasserie Fauchon before returning to Dublin to work briefly with Paul Flynn in Balzac. Stephen continued his culinary adventuring in Gothenberg, Sweden for two years before arriving back in Dublin to work at L’Ecrivain with Derry Clarke for 9 years. Wanting to create his own special place, Stephen opened up the Pichet in 2009, one of our favourite places to enjoy modern Irish food at its best. One of the country’s most talented young chefs, Darren currently works as the Head Pastry Chef at Dublin’s popular Michelin-starred Chapter One, where has led the team for the last 12 years. During that time, he also spent a year in London, working as the Head Pastry Chef for Gordon Ramsay across several of his restaurants (Royal Hospital Road, Pétrus & Bread Street Kitchen). Darren’s pedigree in pastry was recognized in 2010, when he won the prestigious Valrhona Pâtisserie Championships. 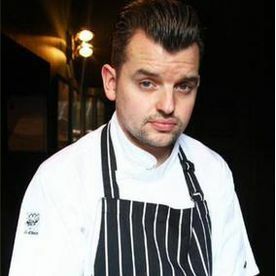 John Wyer opened his celebrated restaurant Forest Avenue in late 2013 and was subsequently named ‘Best Newcomer’ at the 2014 Irish Restaurant Awards and 'Best Chef in Dublin' in 2016. Soon after, John and his team opened the highly acclaimed Forest and Marcy. 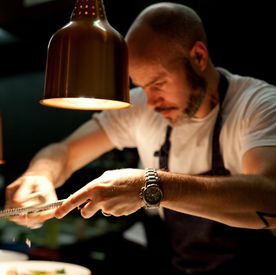 Previous to this, John spent two years as a Senior Tutor here at the cookery school after gaining wide experience in Michelin-starred restaurants in Spain, Germany, and the UK. John continues to maintain strong ties with the school as Guest Chef.